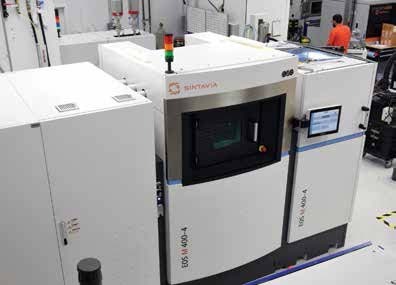 DAVIE, Fla.— Sintavia, LLC, a Tier One metal additive manufacturer, has added two more additive manufacturing (AM) machines—its eighth and ninth industrial metal printers—to its fleet of in-house printers. 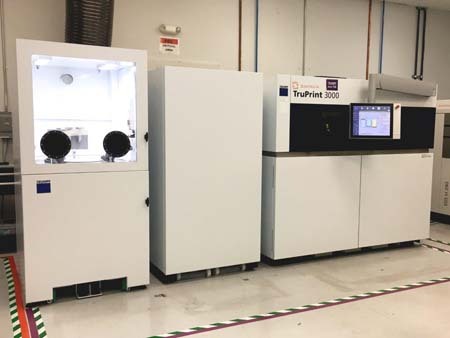 The new additions are a Trumpf TruPrint 3000, reported to be the first machine of its kind in North America, and an EOS M400-4, a large-scale printer with four lasers designed for faster production. Sintavia currently has a total of nine machines in its South Florida facility, including EOS M400-4, M400-1, and M290 laser printers; a TRUMPF TruPrint 3000 laser printer; two SLM Solutions 280HL twin laser printers and a 280HL single laser printer; a Concept Laser M2 laser printer; and an Arcam Q20+ electron beam printer. The company expects to add a tenth printer—another EOS M400-4 laser printer—later this year, and more than double its capacity to 20 machines in 2019 after it moves into its new facility next spring. Sintavia (www.sintavia.com) provides metal additive manufacturing for critical industries, such as aerospace and defense, oil and natural gas, automotive, and ground power generation. The company holds Nadcap, AS9100 Rev. 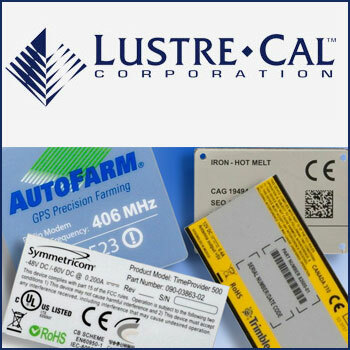 D, ISO17025, and ANAB accreditation, as well as being OASIS registered and ITAR compliant.